Friday, February 23 from 8:00 p.m. until 9:30 p.m. The Manga/Comics Reading and Research Network (MaRRN) in New York is a group that welcomes artists, fans, scholars, researchers, educators, editors, publishers, translators, and more to discuss manga from diverse perspectives. While starting as a reading group meet-up, organizers Shige (CJ) Suzuki PhD., Associate Professor at Baruch College, CUNY, and George Tsouris, an artist and professor at CUNY, have special lecture events to which they invite artists, scholars, and professionals to discuss the cultural aspects of the medium. 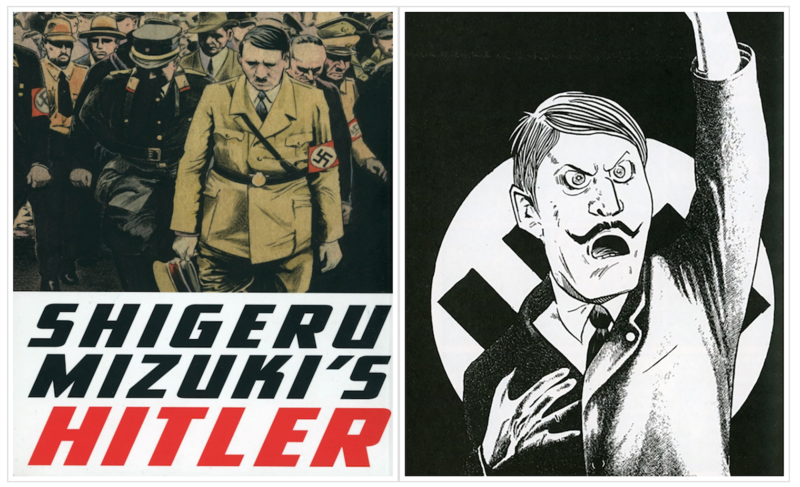 MaRRN’s third meeting will focus on Shigeru Mizuki’s Hitler, a complex and eloquent take on one of the world’s most villainous dictators. Best known for his Japanese monster (yōkai) themed Gegege no Kitaro, Mizuki steps out of his comfort zone to unravel the life of Adolf Hitler. Richard Dias-Rodrigues, a manga scholar/adjunct professor at LaGuardia College (CUNY) will present his findings and invite all to join the conversation. The primary mission of the MaRRN is to develop a network among individuals and groups who engage with manga/comics to deepen the knowledge of the medium, industry, and culture surrounding it. To RSVP, please visit RESOBOX’s website.